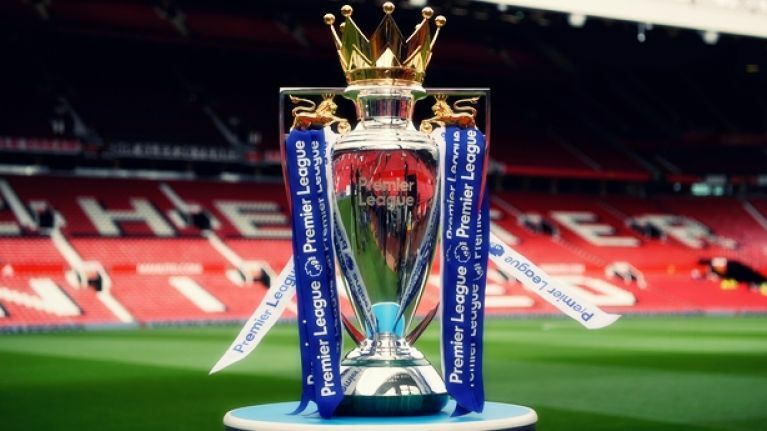 The 2018-19 Premier League season begins on Friday with Manchester United facing Leicester City in the opener. 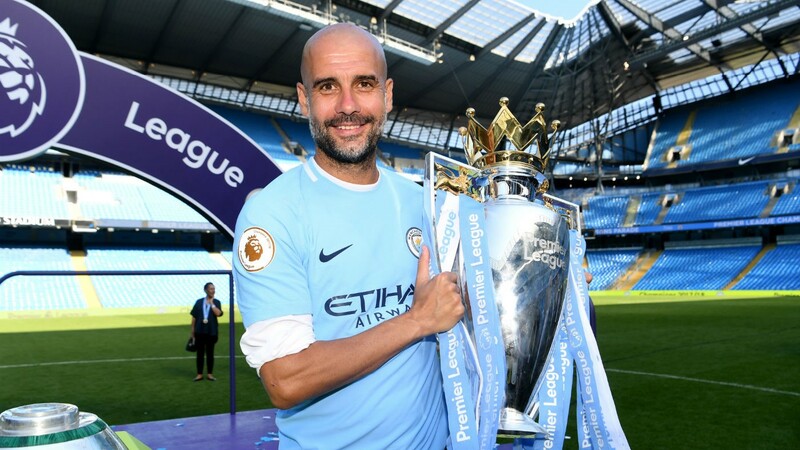 With Pep Guardiola recording breaking Manchester City running away with the Tittle last season can anyone stop them from winning back to back Premier League’s this season? 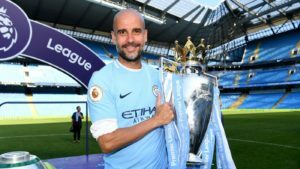 Manchester City enters the season as the favourite to win the league after cruising to the title last season, finishing the table with 100 points, 19 clear of second-place Manchester United. With City signing only one player in Riyad Marhez which is another great addition to their talented squad. There have been some big moves in the transfer window which teams look to strengthen their squad before the start of the season. Manchester Untied and Jose Mourinho look to challenge City this season for the tittle and have added Brazilian Fred for £61million looks to try and be their answer to the problem they have being having in midfield. Liverpool look to be City closes challengers this season, with big spending in the transfer window bringing in the likes of Alisson from Roma for £60million. Klopp also added Naby Keita , Fabinho and Xherdan Shaqiri. They look to be a real force this season and could the tittle be heading back to Liverpool. There has been a whole load of changes in London, from Chelsea sacking Conte and replacing him with Maurizio Sarri. Also, a change in managers in North London and for Arsenal, after 22 years in charge Arsense Wenger left the club and new man Unai Emery has taken the job. Both clubs have had new arrivals this summer with Sarri signing Jorginho from Napoli, also breaking the transfer fee for a goalkeeper bring in Kepa from Athletico to replace Courtois for has been sold to Real Madrid. Unai Emery has brought in 5 new signing and among them are Bernd Leno and Lucas Torreira who look to strengthen the squad in areas where Arsenal lacked last season. This looks to be a tough season for both these clubs with new managers with different playing styles and also the added pressure of Europa league football. Also with the likes of West ham and Everton spending big money this summer this looks to be one of the most exciting season yet. The three teams that were promoted from the Championship are Wolverhampton, Cardiff City and Fulham. All three are interesting teams with a real chance to do what all the promoted teams last season did — survive. Newcastle, Huddersfield Town and Brighton all managed to avoid relegation to continue their participation in the top flight. The three new teams all have a realistic shot of doing the same, though unlikely. While Cardiff City seems like the most likely to be sent back down due to a lack of talent, Wolves and Fulham may just find themselves closer to mid-table than the bottom of it. Wolves are led by experienced manager Nuno Espirito Santo, who joined last year and led this team to a first-place finish in the Championship. He has assembled a fantastic squad that looks more like a team ready to stay up for years to come. This team has flair, featuring seven Portuguese players and one Brazilian. It’s filled with some players who have been established stars like midfielder Joao Moutinho and goalkeeper Rui Patricio, while it has those players who fell short of expectations like Ivan Cavaleiro and Raul Jimenez. Wovles and Fulham look to try and establish themselves this season, but who knows what could happen in this season Premier League. Here’s to the next 10 months of the most unpredictable, exciting and entertaining league in the world.